My price are low because i don't have any review. 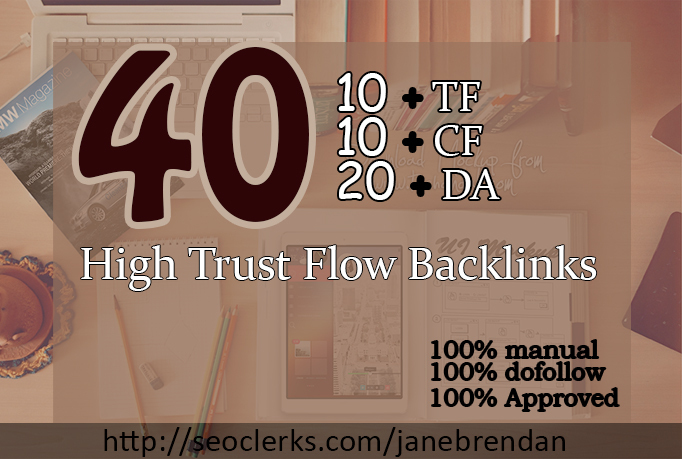 After google recent update All PR of website has been gone , Now search engines love high DA PA and Trust flow Dofollow Backlinks . Why TRUST FLOW Is IMPORTANT?? your website gets rankings improvements on Google extra fast. If people are still selling Page Rank backlinks you may ignore those links . I don't accept adult and Gambling sites.